So the 'relationship expert' that is Steve Harvey has a new daytime talk show. The show is scheduled to film in the city that once played host to talk show queen Oprah Winfrey. The focus of the show will of course be relationships as well as parenting and navigating the workplace. 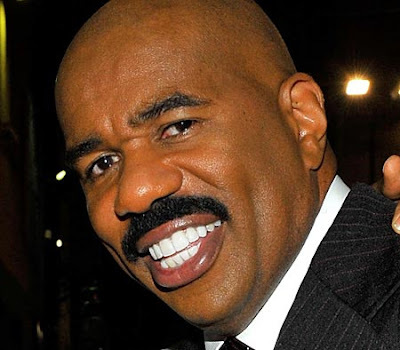 With his bestseller book being turned into a movie, a successful radio show, and now a talk show, it definitely looks like Steve Harvey is WINNING. So the question is will you be watching a daytime talk show featuring Steve Harvey? I'm in 100% agreement with "The Educator"! I am so glad you are going to have this talk show educator, really life stuff. I love your straight forward but sensitive approach. I will diffidently watch your show. You say it like it is in real life. I would even be on your show. I have plenty of relationship problems and respect how you see things the old fashion way which I don't conceder old fashion we have just lost our way when it come to the basic's. I just like your good advise and hopefully my subject would help others because I am one of the best enablers around and can't figure out how not to be without hurting everyone’s feelings by just stopping to do every thing. Plus I suffer from some thing that makes it impossible to just sit still and wait for someone else to take care of it which seems like several years go by before they do. I have been married since I was 16, 45 years ago. For some reason I think your manner of addressing things works better than the doctors you go to that try and say the same things but they just don't get it across like you. Maybe because you started out as a comedian and realized life is funny but serious if one can’t figure out how to be the best person they can. But your skills you have learned over the years (couple of marriages and kids) can help more people with you as a talk show host, plus you make us laugh too. I can't wait till it’s on. It's great it is coming from Chicago. I think you will be the new Oprah show because I haven't found any thing to replace her. I only get free digital TV so I don’t get to see Oprah on her OWN channel. It will only take me 3 hours to drive to Chicago to see the show. I didn’t go see Oprah because I was still working but now I am retired and will come see The Steve Harvey show since we will not have it on our television stations to start with. Good Luck Mr. Harvey on your new adventure.